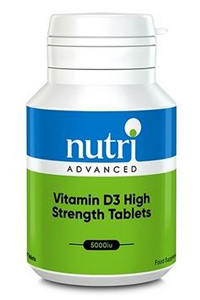 Nutri Advanced D3 High Strength is a high potency vitamin D formula that provides 5000iu of cholecalciferol per tablet. 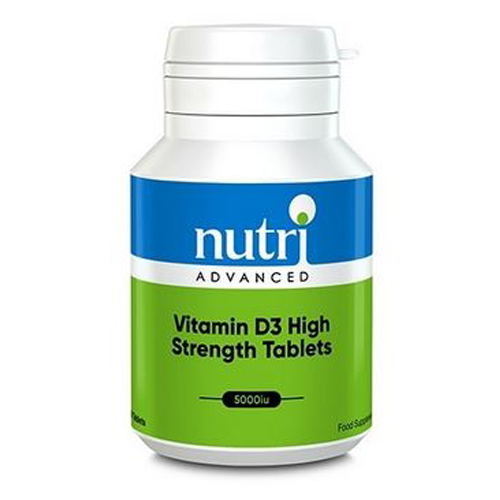 It provides a high dose for those who may be deficient or who require extra vitamin D.
Nutri Advanced D3 High Strength allows convenient, high level dosing in the form of a small tablet. Sodium carboxymethylcellulose, stearic acid, microcrystalline cellulose, silicon dioxide.